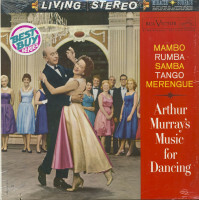 Arthur Murray is America's best-known dance teacher. Each week more than 100,000 people take lessons in his 500 studios throughout the world. On TV he has been seen by 40,000,000. Other millions have learned to dance by mail and by using his book 'How to Become a Good Dancer' (Simon and Schuster). 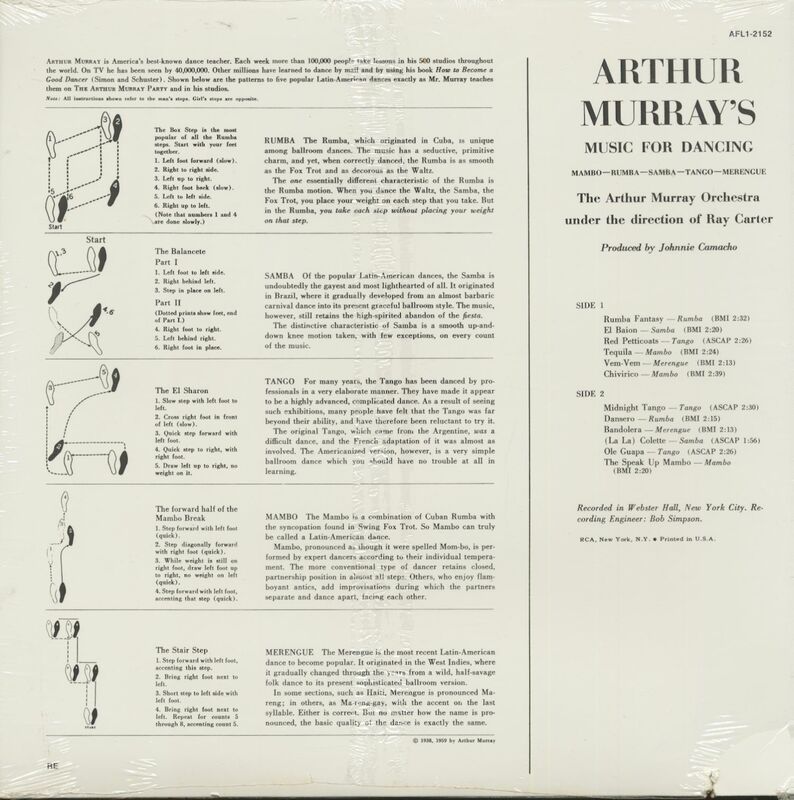 Shown below are the patterns to fire popular Latin-American dances exactly as Mr. Murray teaches than on The Arthur Murray Party and in his studios. 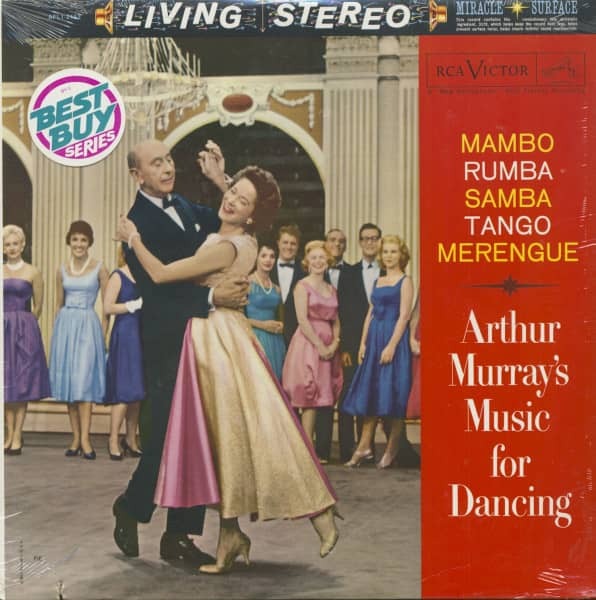 Customer evaluation for "Mambo, Rumba, Samba, Tango, Merengue (LP)"